The Portuguese Camino is the second most popular camino in terms of numbers of pilgrims. As we have already said in other posts, the whole Portuguese Camino has its starting point in Lisbon, the capital city of Portugal. However, most pilgrims start their trip from Portugal’s second largest city, Porto or from the Portuguese-Spanish border town of Tui. 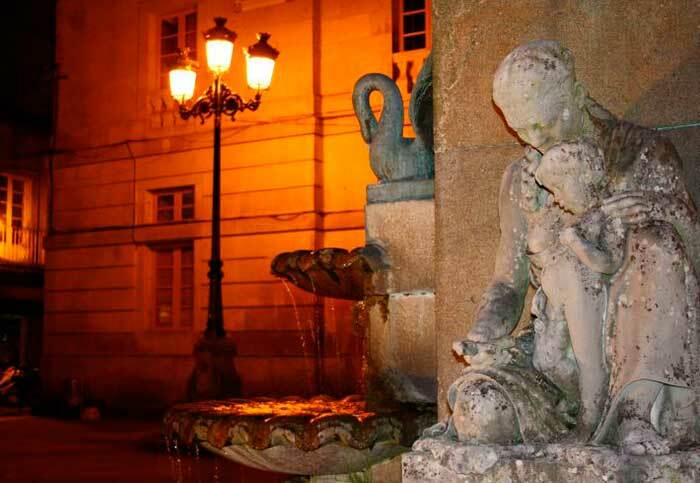 The stretch from Porto to Santiago has frequent pilgrim hostels and bars on the road and is quite busy with pilgrims. The route from Lisbon to Porto has less facilities and the way marks are not that good but it can be done with more preparation. The entire Portuguese Camino from Lisbon to Santiago is 616 kilometers long but the part that starts in Porto is 240 kilometers long and if you start in Tui, it is only 117 kilometers long and it can be done in a week. Tui is a border town between Portugal and Spain and it was the capital of one of the seven ancient provinces of the kingdom of Galicia. Perched high up on a hill, Tui overlooks the Miño River, which serves as the border between both countries in the far northwest. On the Spanish side of the river, Tui’s cathedral seems more castle than church—and for good reason, as Valença do Minho to the south is a literal city-within-a-fortress. However, Spain and Portugal are on much more friendlier terms today, and the narrow international bridge here connects trains going from Vigo down to Porto twice a day. Despite being a small town nowadays, Tui has got a wonderful cathedral that is worth visiting. It was built in the year 1120 in the Romanesque style and it was finished in 1225 with a decidedly Gothic flair to things, as the French Style had by then come into vogue. Because of this, the church’s arches are pointy, rather than rounded, and the main, the portico entrance has a really stellar set of medieval sculptures that welcome in worshippers and visitors alike. But since structural problems threatened the cathedral with collapse, they had to put up long stone braces across the width of the naves to buttress the church between the 1400s and the 1700s. This cathedral architecture is interesting to watch but what is really appealing for visitors is how much stuff there is to explore: quiet cloisters, lookout towers, fortress-like battlements and an impressive flower garden all rounded out this cathedral complex. Visiting Tui means an obligatory halt to enjoy its cuisine, dominated by products from the river Miño such as elvers, eels and lampreys. The lamprey is prepared in numerous ways, although the most traditional is stewing it in its own blood. The town is also famous for the pastries made by the nuns of the order of St. Clare, especially the peixiños de amendoa (little almond fish). 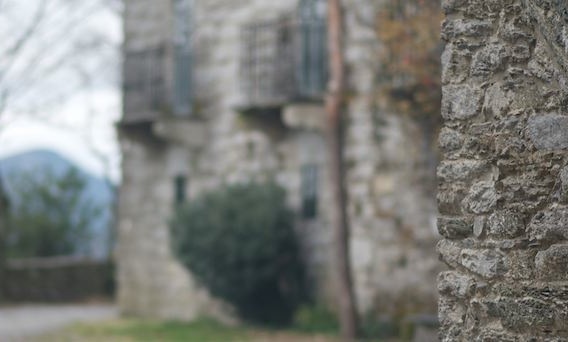 Its accommodation includes the state-run parador of San Telmo, in a building close to the road leading to Portugal and which faithfully reproduces the typical architecture of Galician mansions or pazos. One of the essential points in the daily life of Tui’s inhabitants is the stone promenade known as the Paseo da Corredoira, a pedestrian walkway with green zones. 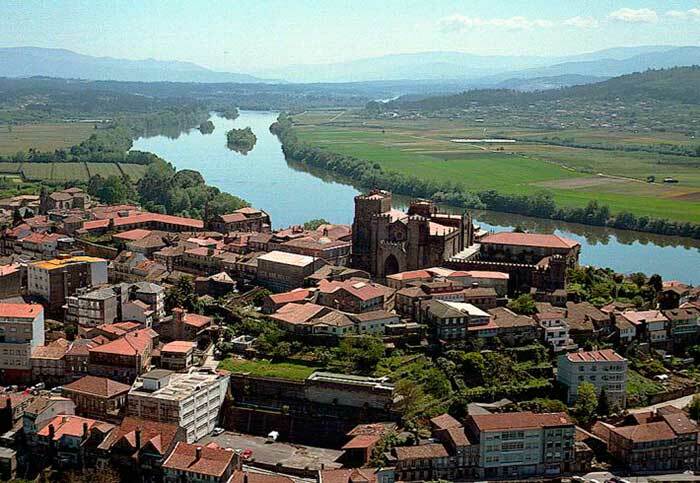 It includes a lookout point at one end of the promenade, offering views over farmland in the valley and the River Miño. Close to the town is the first Natural Park to be declared in Galicia, mount Aloia. 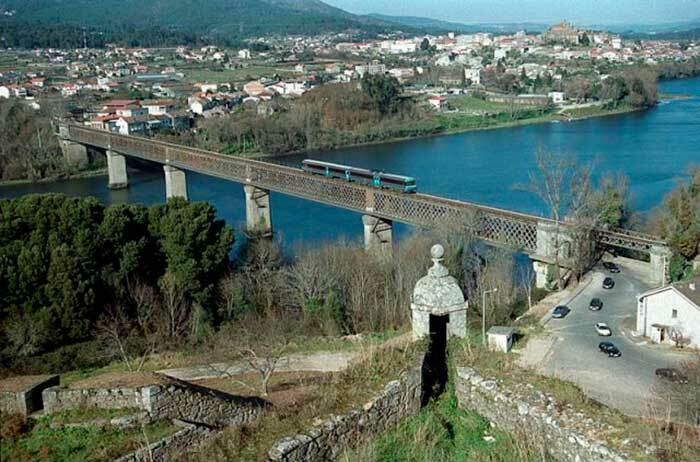 Visitors may enjoy sweeping views over the River Miño and its estuary, with five special lookout points set up for this purpose; its flora and fauna, with fine examples of typical Galician tree species, and interesting archaeological remains from the hill-fort period. 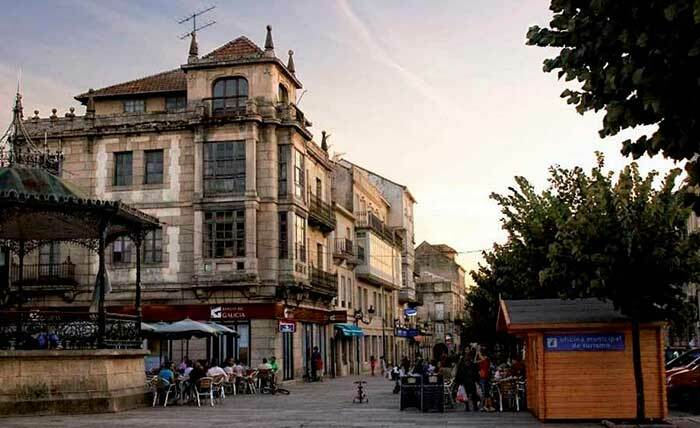 So when you are in Tui, take a walk through the picturesque streets of this medieval town, then as you approach the Plaza de San Fernando, you will find out the silhouette of the west-facing façade of the cathedral and you will be able to visit it and discover the wonders inside and outside. Don ´t forget to have tapas and a glass of albariño wine if you like it or you have not tasted it yet!